The royal nanny is banned from using this one word! A ‘no nonsense’ nanny. That’s how royal nanny expert, Louise Herren describes the style of Prince George, Princess Charlotte, and Prince Louis’ Spanish-born nanny, Maria Borrallo. Maria lives-in with the Cambridge family at Kensington Palace and accompanies them on family holidays and to engagements where they attend with the children. You’ve most likely spotted her in photos taken of George, Charlotte and Louis out and about. 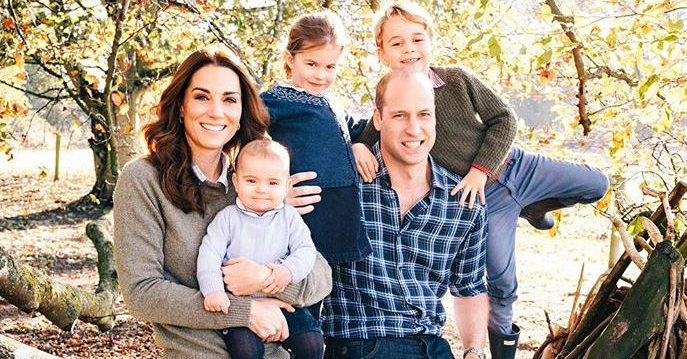 Nanny Maria has been with the family for about five years – since Prince George was a baby. Hailing from the Norland school of nannies – which harks back to 1892 – Maria often wears a distinctive brown uniform when she’s on duty. And while that seems old-fashioned and quaint, nanny buff Louise Herren told British newspaper The Mirror the Norland method is more practical than anything else. “It doesn’t have to be strict. Just because Norland nannies wear the brown uniform, they look quite old-fashioned, that doesn’t mean their message is old-fashioned. [Rather] it’s no nonsense,” said Louise. Interestingly there’s one word you’ll never hear Maria shouting across the playground – and no, it’s probably not the word you think! The word that’s banned at Norland nanny school is … ‘kid’. Yes, kid! What a nice sentiment that is, and certainly a pretty modern one, too. A routine “not too unlike the childhood of other British children,” says Louise. Duchess Kate’s very hands-on public role with her children is also a good indication of the children’s down-to-earth upbringing and her “good” relationship with nanny, Maria. “There’d be ‘no messing’ because they have to learn to step off planes, holding mum’s hands, smiling and waving to the crowds, there can’t be any crying or terrible twos or tantrums, “said Louise. “You get a lot of support with the baby as a mother particularly in the early days, but after the age of one, it falls away. After that, there isn’t a huge amount … Lots of books to read… Everybody experiences the same struggle,” said Kate.